Spread over a staggering 3.55 lakh square feet with 2.3 lakh square feet of operational space, the addition of 1.25 lakh square feet will bring along more facilities and features and add to the beauty, viability and desirability of Omaxe Mall Patiala. Immaculately designed with spacious retail spaces, Omaxe Mall, Patiala has changed the shopping and entertainment experience for the residents of Patiala and adjoining districts. 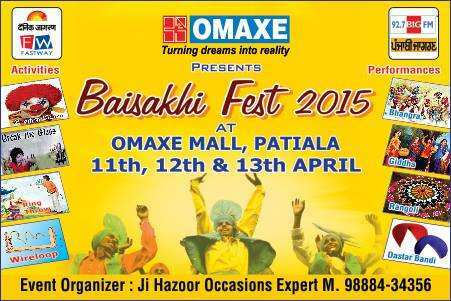 The only and largest operational Mall in the city, Omaxe Mall is the pride of Patiala. The presence of over hundred showrooms which includes top national and international brands like easyday Hypermarket, McDonald's, Nike, Reliance Trends, SRS Cinema to name a few, 4 screen multiplex, kids zone, food court, speciality restaurant and facilities like centrally air conditioning, 100% power back-up, 3-tier security, underground parking etc makes Omaxe Mall a perfect shopping and entertainment landmark. The coming up of more retail space, club area with gymnasium, swimming pool, sauna, steam and Jacuzzi bath, expansion of entertainment and food area, and more importantly Patiala’s first office space with all modern infrastructure for business needs. 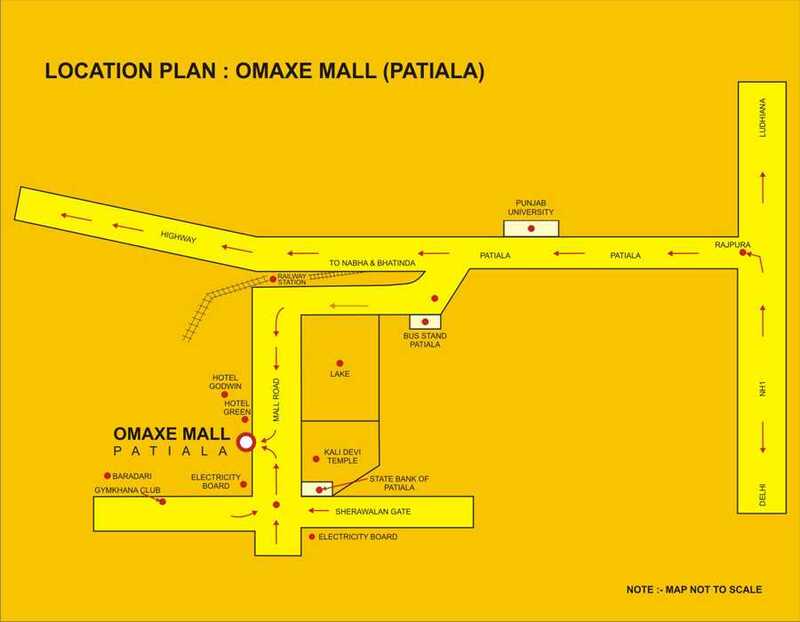 Situated in the heart of city on the Mall Road, Opposite Kali Devi Temple and surrounded by a thriving neighbourhood, Omaxe Mall, Patiala is destined to usher in a new future into Patiala. It is a consumer’s must stopover destination, an answer to their luxury, leisure and pleasure and a retailers’ delight. 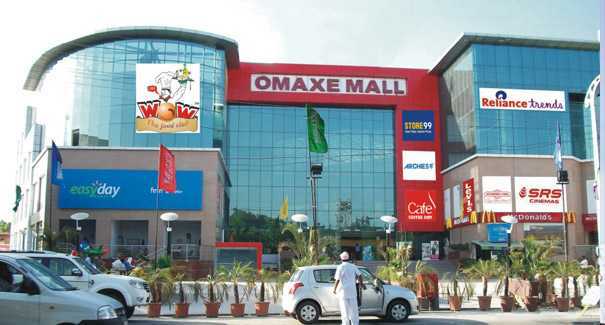 Omaxe Mall is closely associated with Regular Blood Donation Camps and CRY– Child Relief and regularly organizes cultural events, functions during festivals etc. - Banquet halls for marriages, parties and exhibitions.